It's just as beautiful – and cold – as you think. Hi, it's ya (fan)girl Jenna, resident Game of Thrones supernerd. Yes, that's me standing in front of A MOUNTAIN SHAPED LIKE AN ARROWHEAD (more on that later). 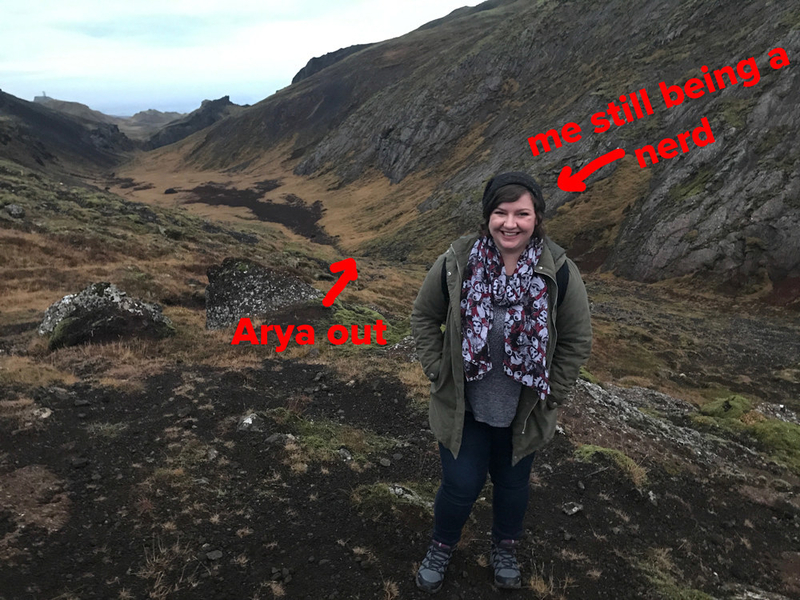 I recently got the opportunity to visit Iceland and see some of the locations Game of Thrones used for filming. It was totally stunning and surreal, and made my fangirl heart very happy. 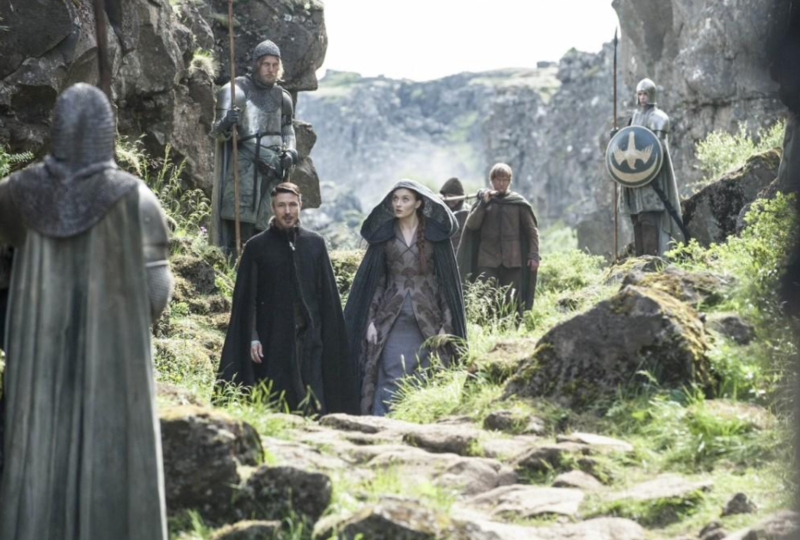 Einar Sveinn Thordarson, the location manager for Game of Thrones in Iceland, told me he thinks the producers chose the country to film in because of its "fantasy and adventure-like" qualities. "It's mysterious-looking, but we also have a lot of locations that are very accessible – even if they look like they're in the middle of nowhere," he said. 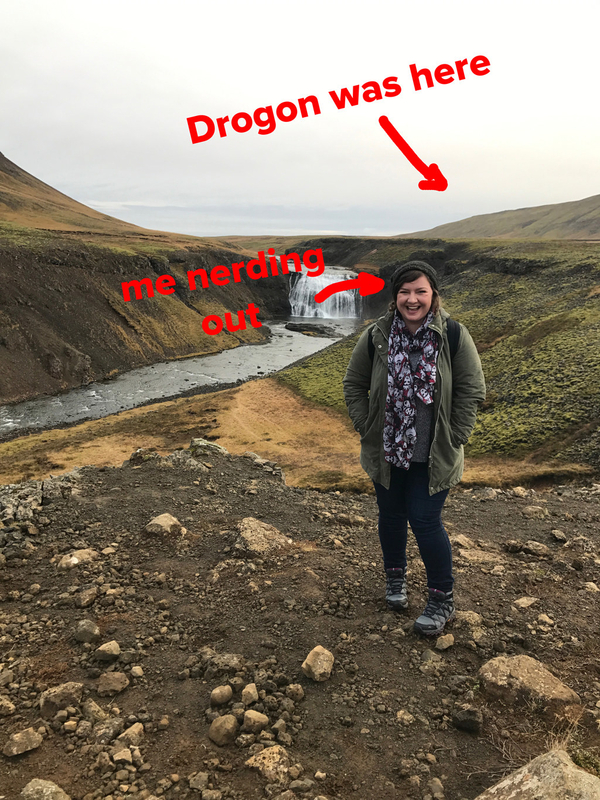 Before I went to Iceland, I assumed it was only used for north of the Wall locations, but it turns out in Season 4 the show filmed some ~warmer~ locations during the summertime – including the gorgeous waterfall Thorufoss, which was used as the backdrop for an Essos scene in Season 4, Episode 6, where Drogon surprises a goat herder and nabs one of his goats for dinner. 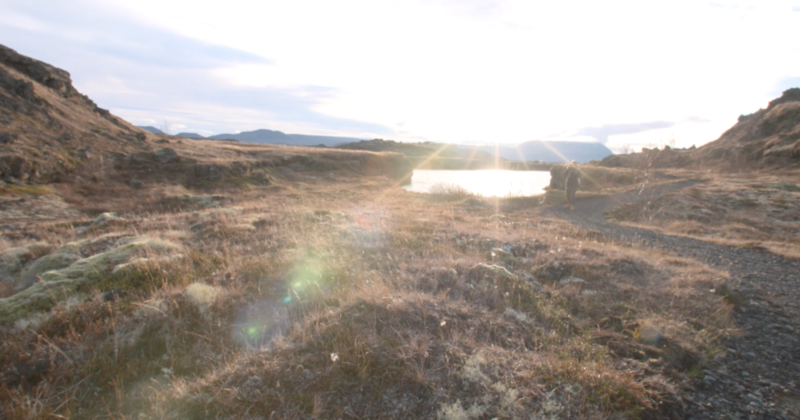 "We shot one day here," Einar told me. "We were looking for a canyon for a dragon to fly in, coming up to a hill to pick up a goat, and this canyon was right for it. I had to scout goats – we brought like 20 goats up here. And goats jump everywhere, so we had to put up some fences and herd the goats to make sure they wouldn’t escape." 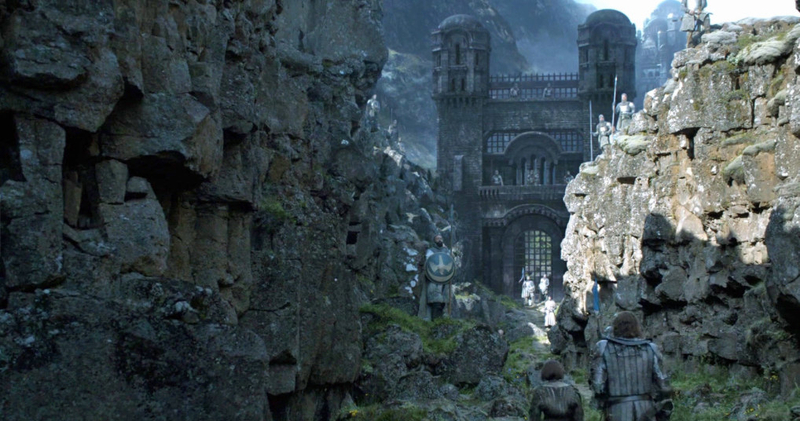 This striking canyon was used as the entrance to the Eyrie in Season 4 in two separate scenes – when Littlefinger and Sansa approach the Bloody Gate in Episode 5, and when the Hound and Arya arrive in Episode 8. You might remember the Hound and Arya scene in particular because it spawned the iconic gif of the Hound being 100% done while Arya laughs maniacally, after being informed by the Knights of the Vale that her aunt Lysa died just before they arrived. "They wanted a narrow canyon that the characters would travel through, so we just started thinking of any canyon that could possibly work," Einar said. "There are many more ravines like this and we looked at a lot of them. Logistically you have to think, OK, maybe the best looking one is up that way, but that’s where all the tourists are, so you have to stay away from that. So this was the place." The Bloody Gate itself is, of course, CGI. 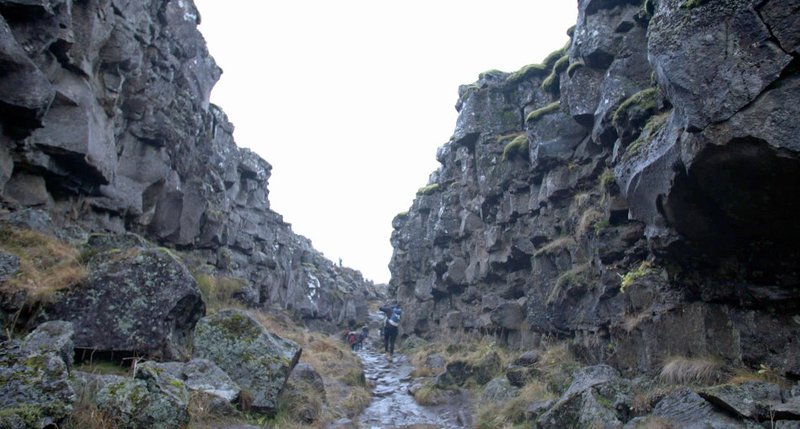 But the cast really did trek through this canyon – which Einar admitted was no easy feat on the unusually warm day they were there. "That was probably the main problem, people in heavy costumes were really having a hard time." This is the epic location where Brienne stumbles upon the Hound and Arya at the end of Season 4 and fights our fave Clegane for the right to protect Arya. She nearly kills him, and Arya leaves him for dead. 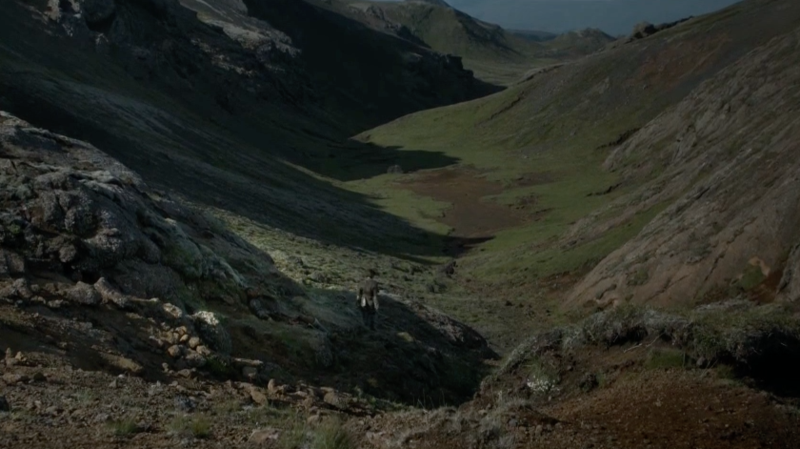 It's a long sequence, shot in seven locations around these hills. Einar revealed this was a location that "accidentally" came into play. "I was driving with Chris [Newman, Game of Thrones producer], and I said, 'Chris, I'm gonna show you something'. Because when you're driving, you don't see it from the road. I said, 'just five minutes, let's walk up this hill'. He came up here and was like, 'WOW'. With rehearsals, we probably spent about three days in this location." Because I visited in November, the north of the Wall locations I saw looked pretty different to how they are on the show because, you know, there was no snow. 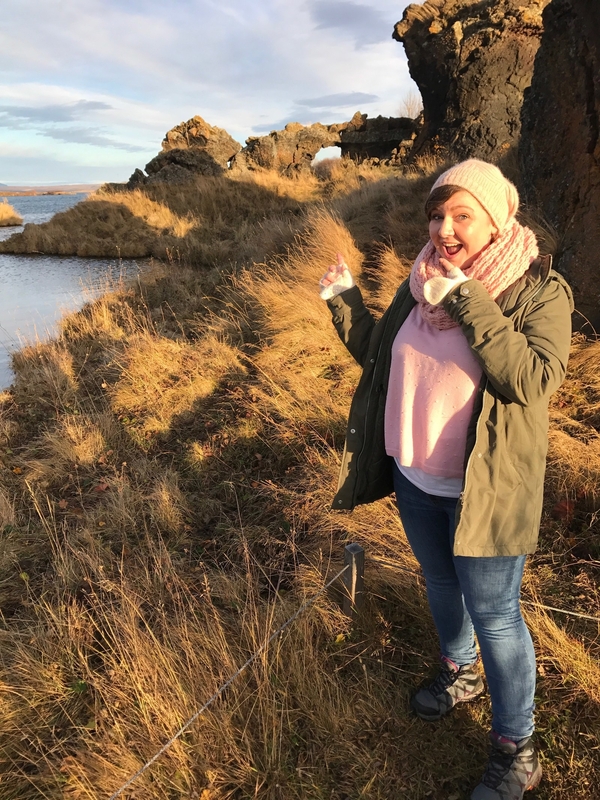 But it was still absolutely magical – honestly Iceland is one of the most beautiful places I've EVER been. 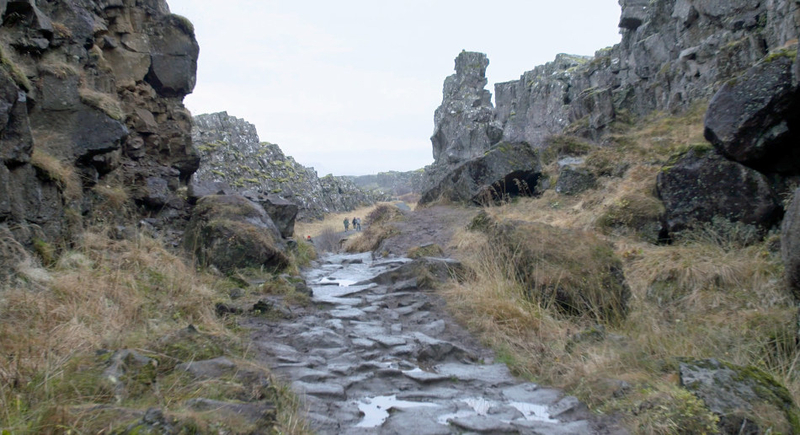 This Hofdi area of Lake Mývatn was used for a few scenes in Season 3 – including the wildling camp and the trek of the Night's Watch. 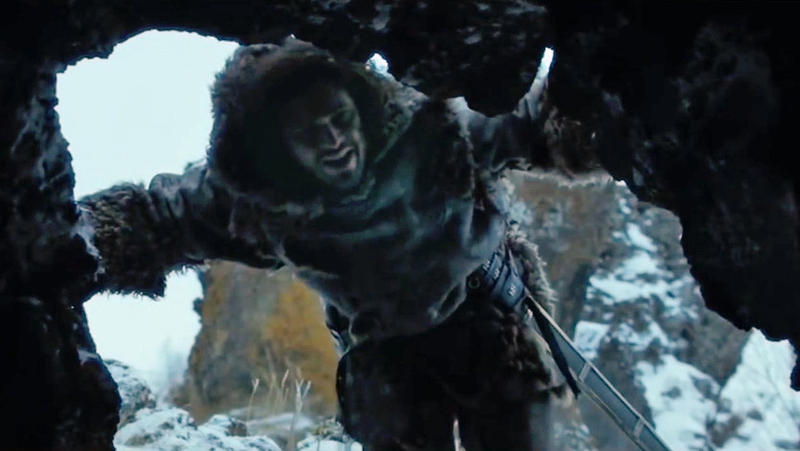 Sadly, it's just the entrance – literally a hole in the rocks, with no cave behind it, which Ygritte ran into and Jon stuck his head through to proclaim, "seven hells!". You might have heard that the interior of the cave is nearby Grjotagja, but Einar told me that while they considered that lava cave – to the point where he and Chris Newman jumped in the water together to test it out – they decided it was "too small, too hot, and too clear" to film in. Instead, they built a cave set at GoT HQ in Northern Ireland. Just around the bend from the cave entrance is the spot where Sam falls to his knees, defeated, in Season 3, Episode 2, and Jeor delivers his iconic "I forbid you to die" line. By pure coincidence, I also fell down walking this path, but it was not because of existential angst like Sam, but rather my habit of not adequately watching where I'm going, and slipping on a rock. Hot tip for traveling to Iceland: be careful where you tread. 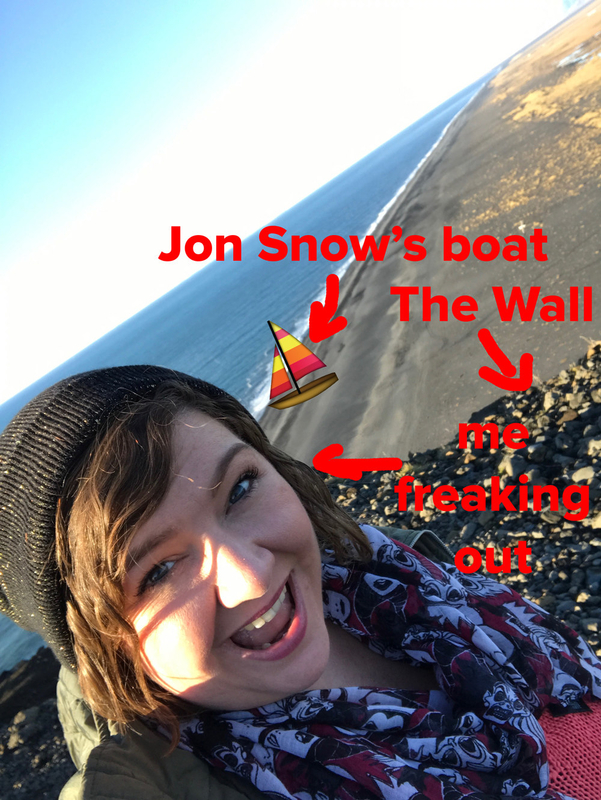 The black sand beach in this area is where they shot Jon Snow and co. arriving at Eastwatch via boat in Season 7, Episode 5, and then the Hound saying goodbye to Tormund and Beric at the end of Season 7, Episode 6. 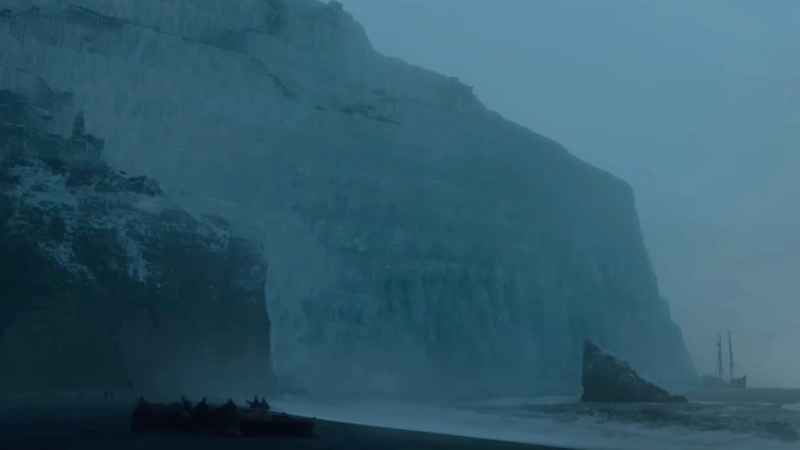 The cliff near the beach was used as the base of the Wall, which you can also see when zombie Viserion destroys the Wall in the Season 7 finale. 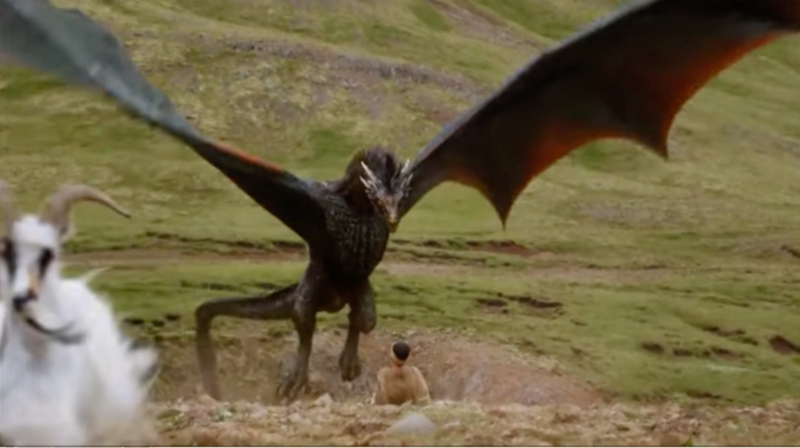 The rock formation pictured above doesn't actually appear on the show, but it might be familiar to eagle-eyed fans – it was shown in the trailer for Season 7, in a shot that the Wall was inserted into for the show itself (see below). 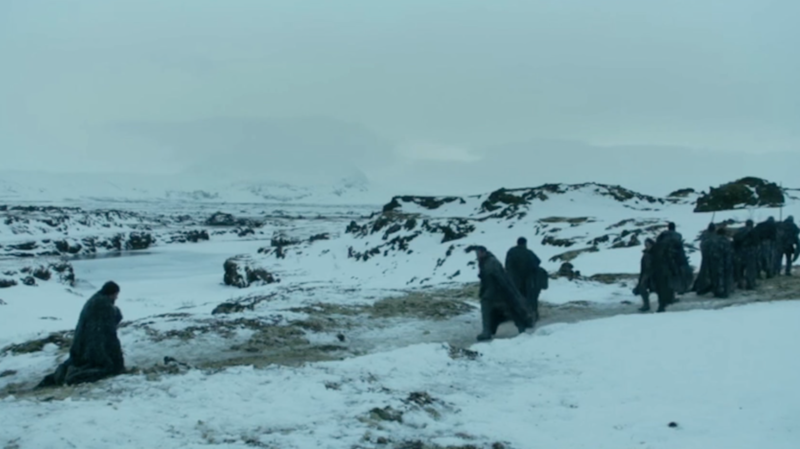 Einar said he looked at several locations for Eastwatch-by-the-Sea, but they decided on this one because it had all the elements they needed. "It was facing the right way, it was high enough, and you had [this cliff] blocking off the land. In post-production they made it 10 times higher [as the Wall]." Once again, there was no snow in this location when I visited, so it didn't appear quite the same as it does on the show. But not only was it breathtakingly beautiful, it was still recognisable as the place where Jon Snow and his Suicide Squad capture a wight – only for things to go disastrously wrong – in Season 7, Episode 6. 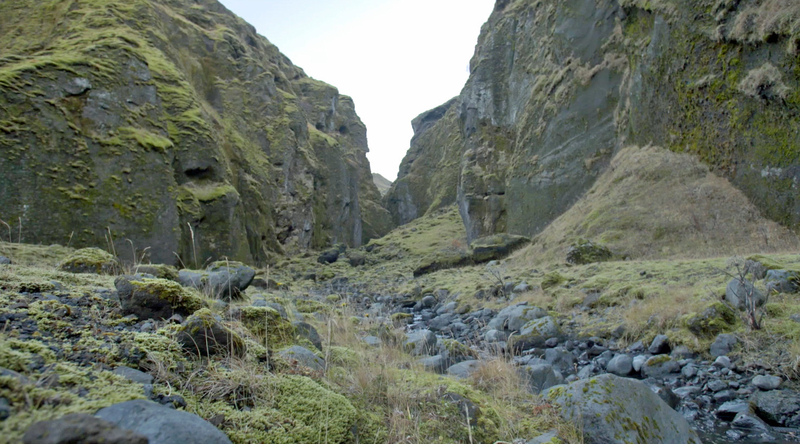 "We were shooting in this area for about a week, in different spots," Einar told me. "In the wintertime we got a lot of snow, and we wanted a lot of snow. It’s beautiful to see all the cliffs with snow like powdered sugar on them. But it can be tricky. We had to have a guy with a bulldozer standing by after the night to break up the ice so we could get across the stream. We put a couple of bridges over the water. We did have a problem in that the snow started thawing, so it started looking a bit different... but we managed to finish in time." 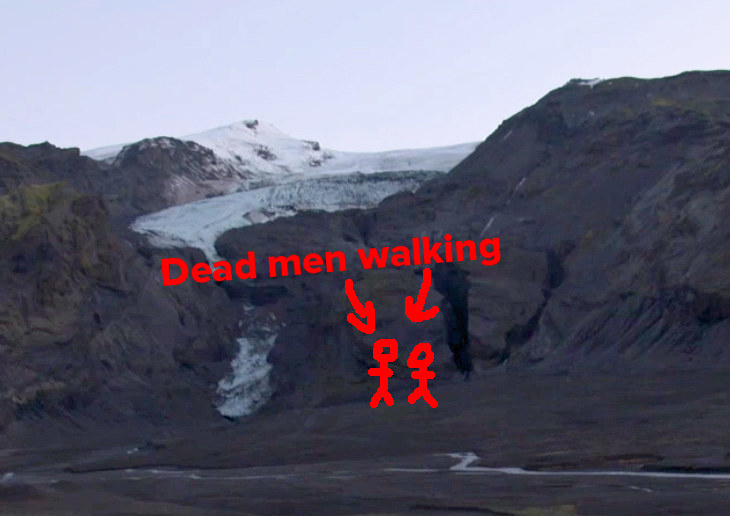 This location is close to Stakkholtsgja, and was used for the Suicide Squad walk-and-talks in Season 7, Episode 6. 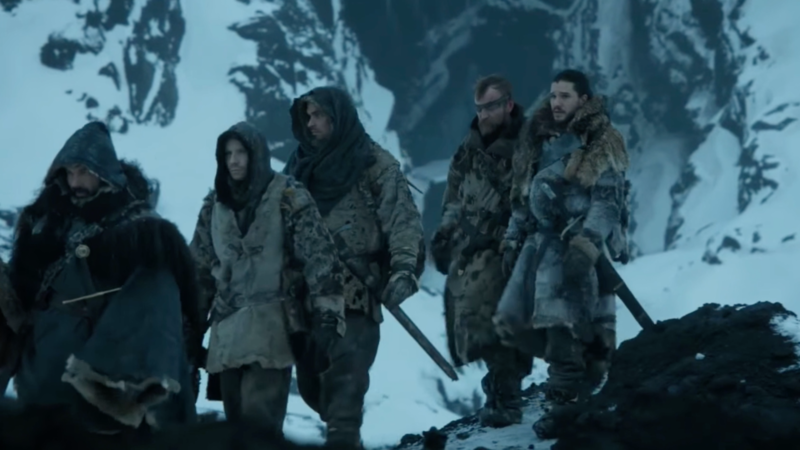 You know, all those lovely moments of normal male bonding, like when Jon Snow and Beric Dondarrion connected over being undead. Einar said when they saw this location, they knew they had to use it. "This is a really dramatic location that screams at you – you gotta shoot something here. It was logistically very hard because you have to cross a couple of rivers, and it's wintertime. We had to fix the road so we could get everything in. But this is a pretty huge location – [they filmed in] a few different places in this valley." 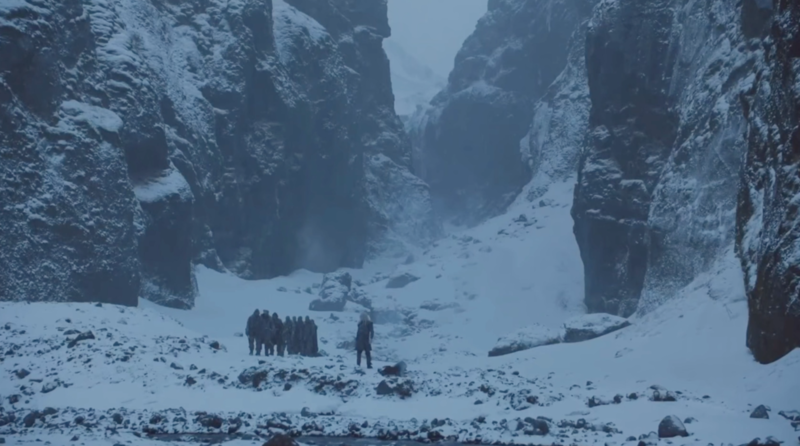 This mountain is a pretty iconic location on Game of Thrones – we first saw it in Season 6, Episode 5 when Bran had the vision of the Children of the Forest creating the first White Walker. Later in the same episode, we see it again when Bran is touched by the Night King. 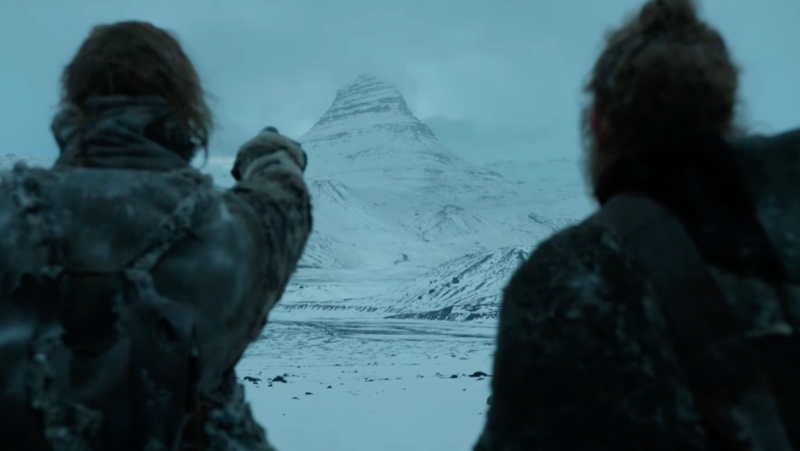 In Season 7, Episode 1, the Hound has a vision of a "mountain shaped like an arrowhead", which he uses as a landmark to confirm that the Suicide Squad are on the right track in their hunt for the White Walkers and their army in Season 7, Episode 6. 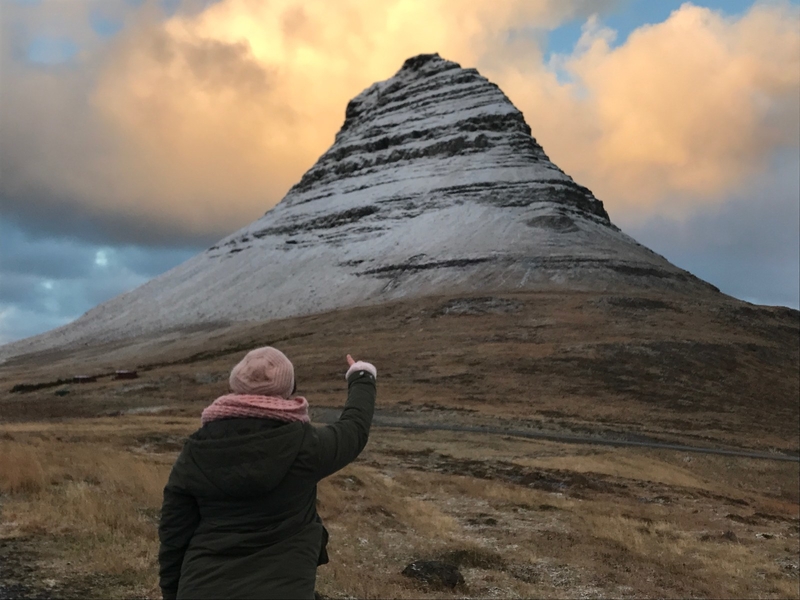 Despite playing a central part in several scenes, Einar revealed the cast never actually filmed at Kirkjufell – instead, the mountain was filmed once in summer and once in winter and then inserted into the scenes where required. So while the terrain around it isn't exactly the same as what you see on the show, it is nevertheless spectacular to see, and totally worth the strange looks you'll get from fellow tourists when you ask them to take a photo of you pointing at it (ahem). Game of Thrones is returning to Iceland in 2018 to film scenes for Season 8, so there'll no doubt be even more beautiful locations for fans to visit in the future. Accomodation and airfares were provided by HBO and Promote Iceland. BuzzFeed writers do not guarantee coverage. Game of Thrones Season 7 is released on Blu-ray and DVD on 11 December from HBO Home Entertainment.